Having been denied bail, Kitatta tried a second shot at applying for the same in the army court in our latest Uganda news. On Tuesday, prosecution led by Capt. 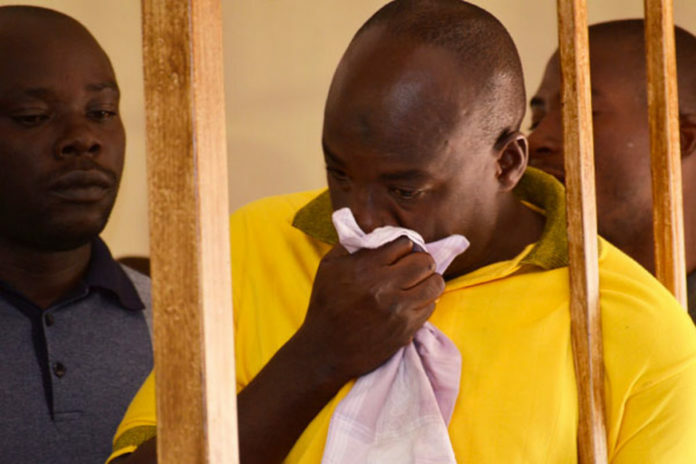 Samuel Maserejje said Kitatta should not be released on bail because he might interfere with investigations into his case due to his popularity and influence. “Being the NRM chairperson of Rubaga and patron of boda boda riders, he is a prominent and popular person likely to interfere with attendance of witnesses,” Maserejje said. He added that the Boda Boda 2010 patron had not proved any exceptional circumstance for him to be released pending conclusion of his case. The state noted that although Kitatta claimed to be sick, he did not prove that the military facility where he is being held is not able to deal with his illness. Kitatta’s lawyer, Siena Owomugisha however argued that Kitatta ought to be released because the state had not provided evidence in disregard to his illness nor had they proved he would interfere with investigations. The General Court Martial chairman, Lt. Gen. Andrew Gutti set November 6 to deliver the court’s ruling on the bail. 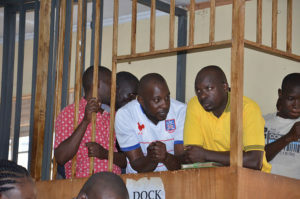 Kitatta is accused together with 12 other Boda boda 2010 members including; Matia Ssenfuka, Joel Kibirige, Hassan Ssemata, Jonathan Kayondo, Ssengooba Hassan, Sande Ssemwogerere, John Ssebandeke, Hussein Mugema, Sowali Ngobi, Fred Bwanika and Amon Twinomujuni of a number of offences related to unlawful possession of military hardware and unlawful possession of a gun, pistol and ammunition. The army also accuses the group of unlawful possession of military equipment including headgear and uniforms which are a monopoly of the defense forces.